So the world needs changing and everybody knows that. The question is, how are we going to do it? 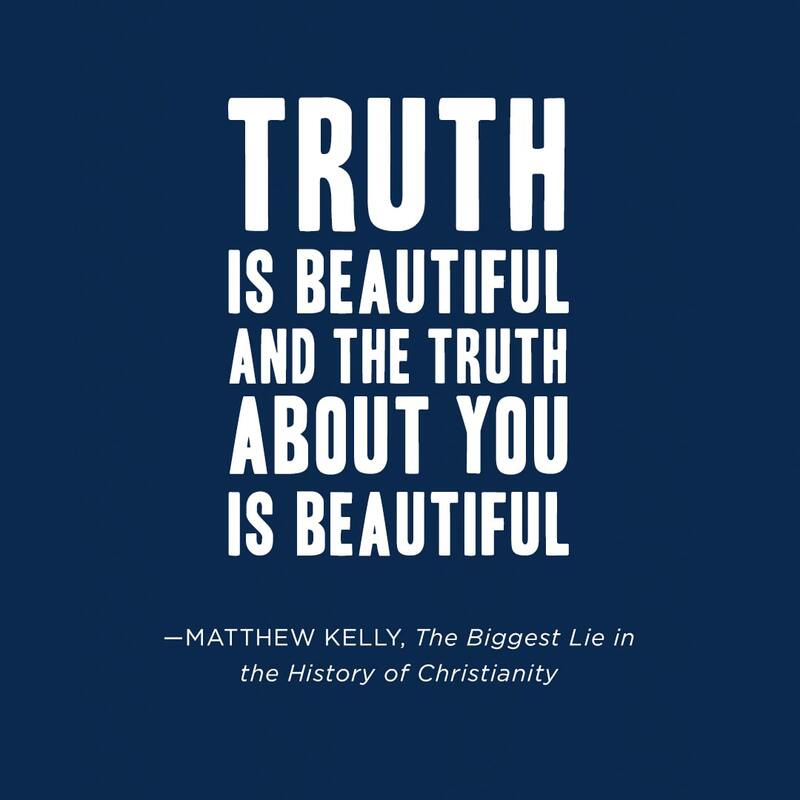 The beautiful thing is—the truth is—it’s been done before. By who? Our ancestors. The first Christians? They changed the world. The first Christians changed the world. How did they do it? Did they have some great strategic plan? No. They lived differently, they loved differently, and they worked differently. They differentiated themselves in society by living differently, by loving differently, by working differently. When's the last time someone came up to your work and said, “I can tell you're a Christian just by the way you work”? As Christians, we're called to change the world. But one of the lies about Christianity is the lie we tell ourselves as Christians. I don't think we believe we can change the world anymore. I think we believe the culture’s gotten so strong, gotten so powerful, that we need Jesus to come down and do a second coming and take care of business. No. No, no, no. The first Christians changed the world by living differently, by loving differently, by working differently. That's how we'll change the world, you and me. One at a time, one family at a time, one church at a time. So let's start with your local church this Christmas. Let's teach people how to live differently, how to love differently, how to work differently. Let's change the world, because the world needs changing—and everybody knows that. The first Christians intrigued the people of their time by their love. Modern Christians blend in—and that needs to change. It’s time for Christians to astound the world with our generosity, kindness, patience, courage, thoughtfulness, and selfless care for the weak, poor, and forgotten. For a deeper look into how you can live differently, get your copy of The Biggest Lie in the History of Christianity.